Dental implants are used in many dental practices today in order to replace missing teeth. There are many different types of dental implants used in practice today. Most dental implants used are made of titanium. There are a small number of companies producing implants made of zirconia however these are still very limited in number and not as tried and tested as titanium implants. Implants come in a variety of sizes. The implants can vary in shape, some implants being parallel others being tapered. Dental implants are manufactured in different lengths and diameters in order to suit the dentist or implant surgeon more adequately. Most dental implants offer a success rate of over 95% when placed properly by a skilled and experienced surgeon. Some would argue that different implants designs are superior for certain indications than other dental implant designs. It is quite common that dentists will find themselves used to a particular design and will stick to this design as it works well for them. Unfortunately there is no implant design that is suitable for all indications. 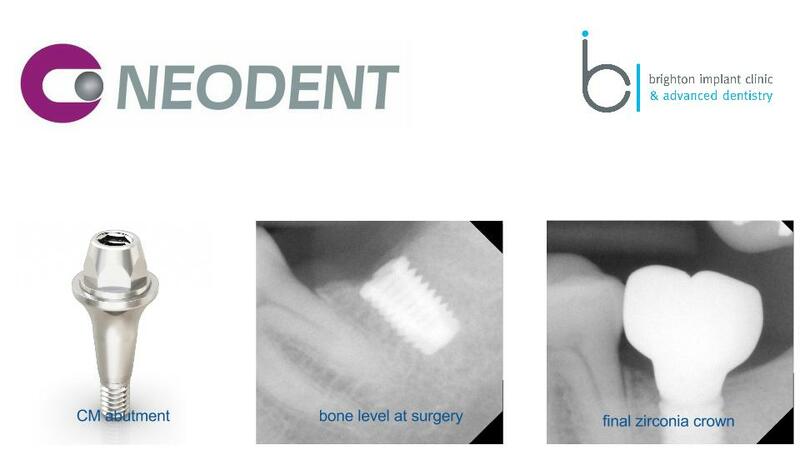 Neodent implants are made of titanium and are manufactured to the highest standards of quality in Brazil. 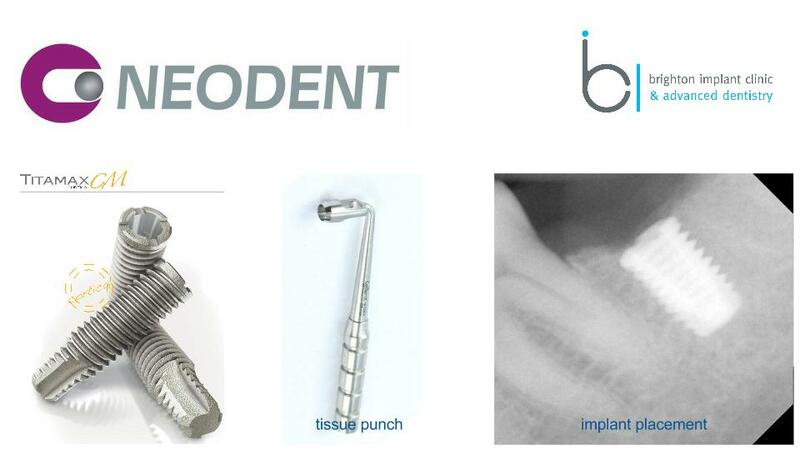 Neodent produces different designs of implants for different applications in the mouth. Some implant designs are best suited for replacement of single teeth while other implant designs are best suited for multiple teeth replacement. In our example today we discussed how a single molar tooth was replaced using a single dental implant. The patient had a cracked tooth and her dentist told her that it was not possible to restore this tooth. 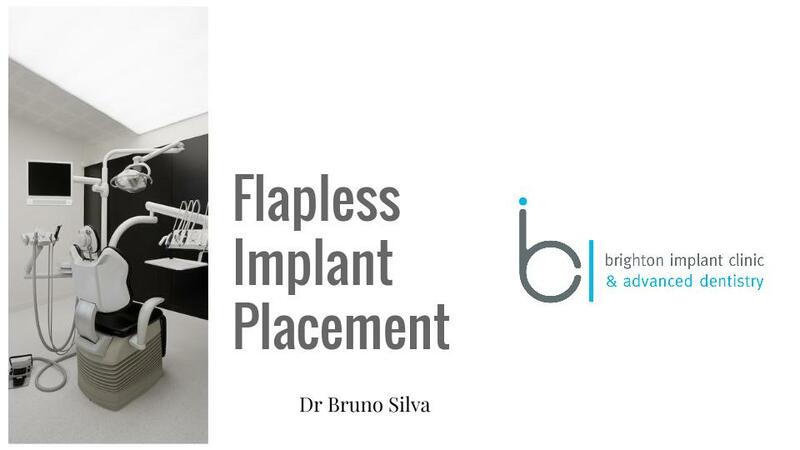 The patient was referred to Brighton Implant Clinic for an extraction and implant placement. The patient was devastated that she was going to lose a tooth however this really was the only viable and predictable long term option. A tooth which is severely cracked cant be restored with root canal treatment and crowns. The patient requested further information and the procedure was explained to her in detail. Firstly the cracked molar tooth would need to be removed first and the area left to heal for 4-6 months. During this time the 'hole' left behind from the roots of the extracted molar tooth would fill in with new bone. After the healing phase a CT scan was taken in order to ascertain if there was sufficient bone to place an implant predictably and safely. The CT scan that all was ok for dental implant surgery as sufficient bone volume was present for implant surgery. After the implant was placed, the patient was advised to leave the implant to heal for a further 4 months. During this time the implant fused with the jaw bone. After the healing period some impressions were taken to accurately record the position of the implant and the surrounding tissues. A single tooth molar implant crown was made and it was secured onto the implant. 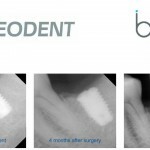 Neodent produce a variety of implants. This particular case shows an implant with a morse taper connection. 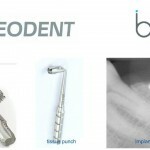 Essentially the crown is secured to the implant by an extremely highly accurate and strong connection. 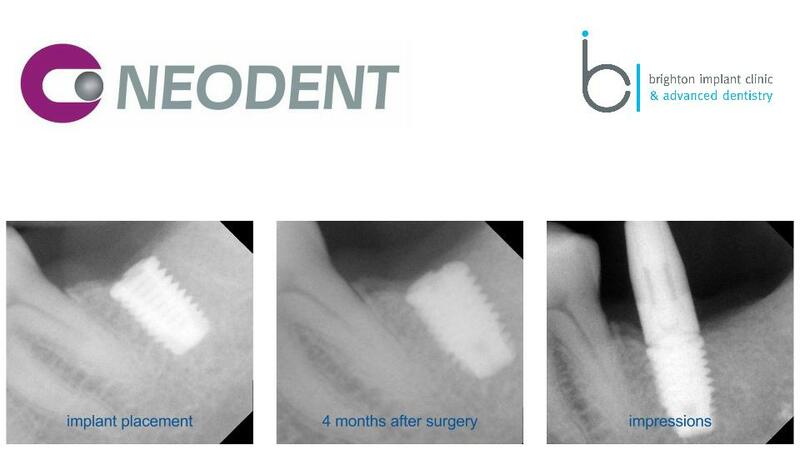 This connection minimises micro movements between the implant and crown and reduces the chances of implant crowns becoming loose. More importantly because the connection is so accurate and precise, there is no evidence of a micro-gap. A micro-gap is seen on other implant designs when there is no morse taper connection. 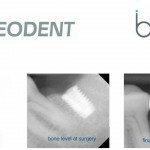 The advantage of this connection is that we do not have bone loss around the implant compared with other implant designs.